The Guard-Nut® tamper-proof fastening system is the proven solution to the constant battle against theft, vandalism and unauthorized entry. Guard-Nut’s exclusive design, free-turning protective sleeve and torque limiting breakaway head is a combination that is hard to beat. No special tools are required for installation. 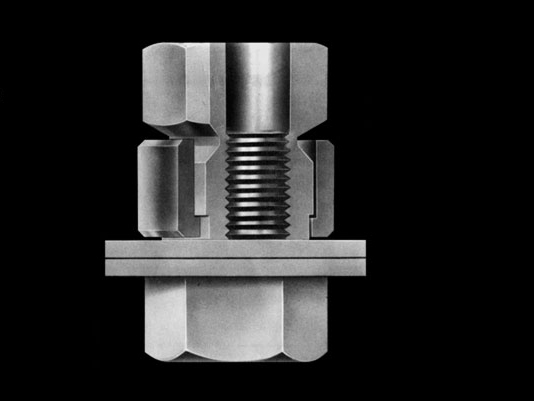 Available in nut, screw and bolt configurations, the Guard-Nut system can be tailored to meet any material, finish, torque limiting or level of security specification. All tamper-proof nuts, bolts, and screws available with left hand threads. Level of security can be tailored by type of material specified (e.g. steel aluminium). SERIES 76 Unique shaped security head with free turning protective metal sleeve and breakaway hex head. SERIES 76 Unique shaped security head with free turning red Plastic security sleeve seal and breakaway hex head.